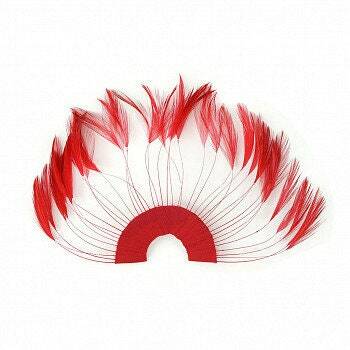 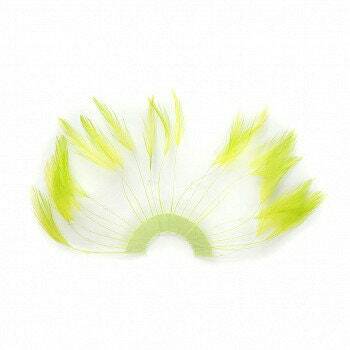 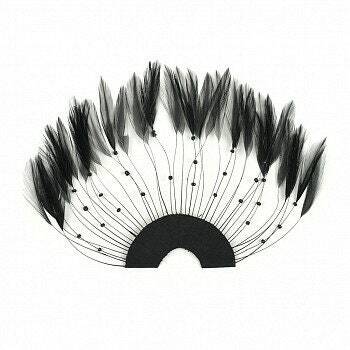 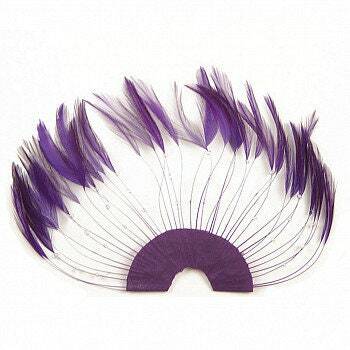 These handmade Single Hackle Feather Beaded Trim Half-Plates (often called pinwheels) measure 10x5.5" and are made from stripped Rooster hackle feathers that are arranged in a half circle and that are glued on to a piece of fabric. 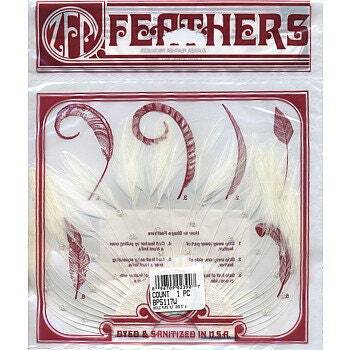 The stripping on the feathers is a unique look that comes from stripping approx 3/4 of the lower part of the feather leaving the beautiful tips. 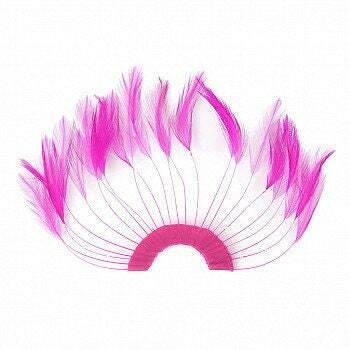 The hackle plates can be cut to any size.